Are you planning to go on your first hiking and backpacking trip? Does the prospect excite you and you find yourself unable to wait for the day you are going to leave on? Hiking is a terrific way to enjoy the beauties of nature, and adventurous souls have always been attracted by it. If you have tasted the joy of backpacking once, if you have experienced the freedom and beauty of hiking thought vast stretches of empty lands or backpacking surrounded by deep canyons, you are addicted to it for life. But hiking can be dangerous if you do not possess certain basic skills or if your body is not fit enough for the ordeal you have chosen for yourself. Keeping in mind some fundamental points (listed below) will help you hone your hiking and backpacking skills and ensure that you are safe and ready for many more hiking expeditions! Boots, backpack and more: These are your two most essential equipments—even the best hiker cannot continue if his shoes keep biting him and the smart backpacker knows how to choose the right backpack. Check all your equipments before you leave on your greatest adventure; learn to pack the backpack in the right way and make sure your waterproof clothes are actually waterproof. Don’t ever take brand-new, untested equipment, to the wilderness. Use other’s experience: If you are a backpacking novice, its best to go hiking with expert backpackers and learn from them. Ask them what works for them and pay close attention to what they say. 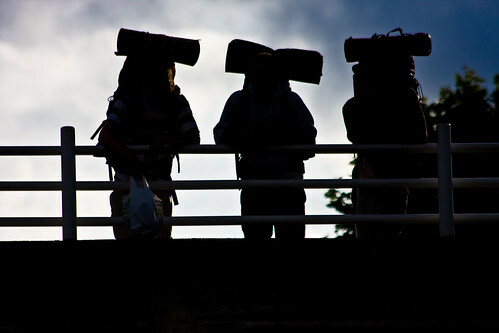 Joining a hiking and backpacking club can help you a lot in sticking to your training schedule. First-aid: You could be far away from civilization on your hiking expedition. It is imperative that you have a basic knowledge of first-aid in case you are faced with some medical emergency. Attend CPR classes by Red Cross or your location hospital; buy a first-aid kit and learn to use it. Even minor injuries can intensify and spoil your backpacking experience. Understand your body and learn to deal properly with minor injuries before they get out of control. Prepare for the worst: Even if you are travelling in the safety of a group and not alone, it is possible to get lost. Prepare for this eventuality: carry a GPS if possible. Learn to read maps well and use the compass to find where you are. Practicing land navigation at a safe and known location can give you confidence—it is also an excellent skill that comes very handy when you go hiking solo. Get into shape: Hiking with a heavy load can, and does, take its toll on the body. You cannot enjoy a hiking trip with a hurting, breathless body. Before you get out there in the wilderness, follow an exercise plan that includes weight lifting and aerobic exercises. 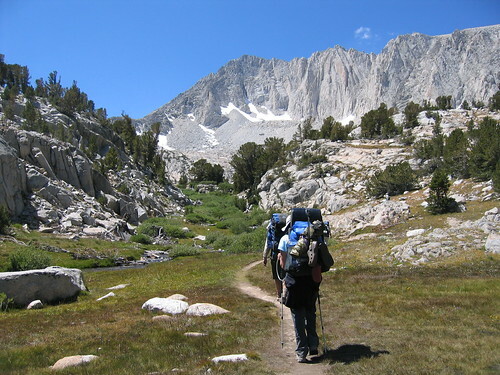 Hiking is a heady experience and the highs of backpacking will compel you to go on more and more expeditions. It is a fun way of recharging your batteries; it is also a delightful way to prove your mental and physical strength and stamina. Hike and backpack passionately, but take the above-emotions common-sense measures to ensure your safety and have a pleasant hiking experience. If you are looking to find best backpacks for hiking than you are at the right place find all recourses at one stop shop. With the holiday search tool you can find the right holidays in no time at all. Cheap Jamaica Holidays are fun and laid-back. Follow the link and book online.